Our trip to the east coast was hot, hot, hot! 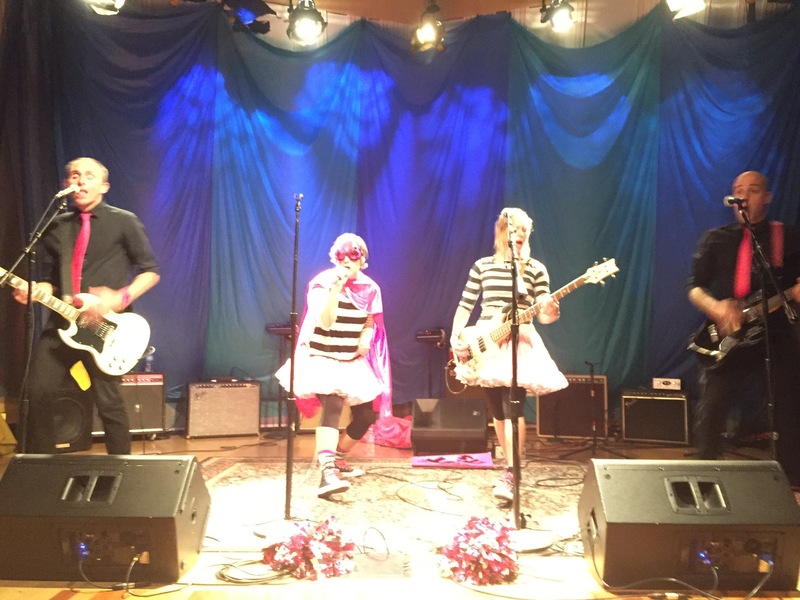 We started out the week in the Washington DC area, playing the infamous Wolf Trap and Sirius XM Radio’s Rumpus Room all in the same day! 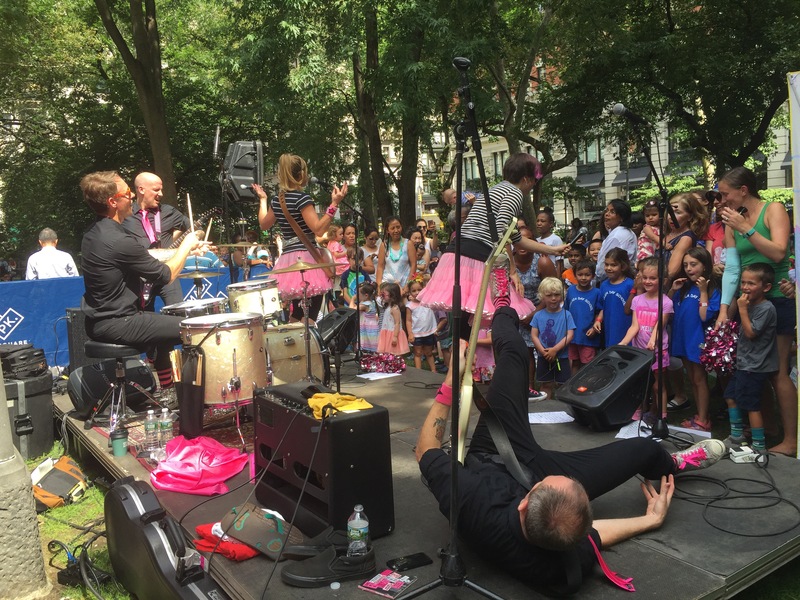 From there we cruised north to Manhattan and played a scorcher in Madison Square Park. Our final shows were in Stamford, CT and Yonkers. We always love to rock out with the folks from the east coast and we look forward to making a trip out to that side of the country again soon! 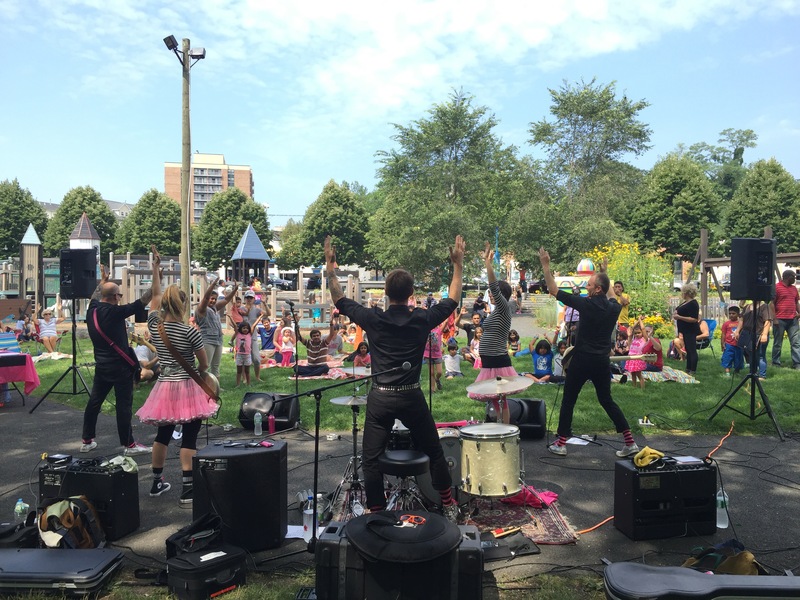 Summer has started and we have been super busy playing all over the greater Seattle area. 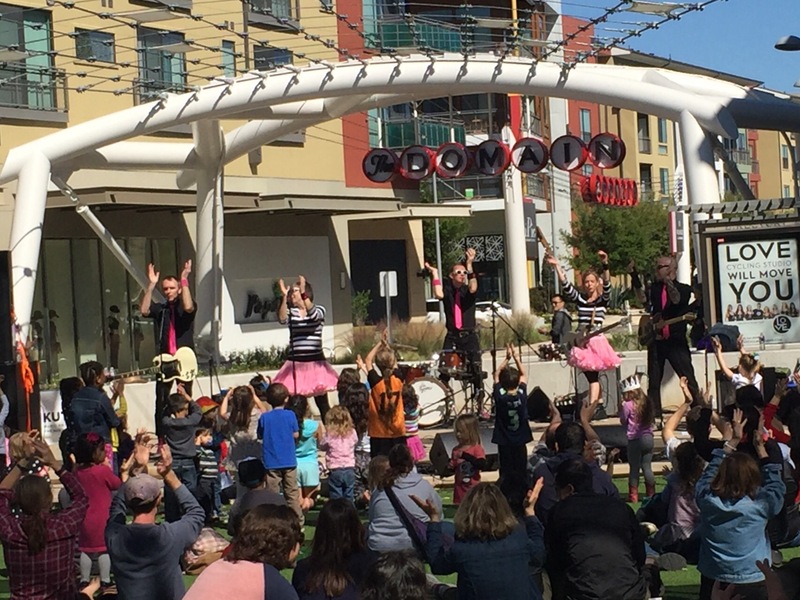 We’ve had a fantastic time playing some of our favorite summer concert series like Everett’s Children’s Concert Series at Silverlake, Bonney Lake’s Kids Club Concert Series, Puyallup’s Noon Tunes, and Kent’s Summer Concert Series. 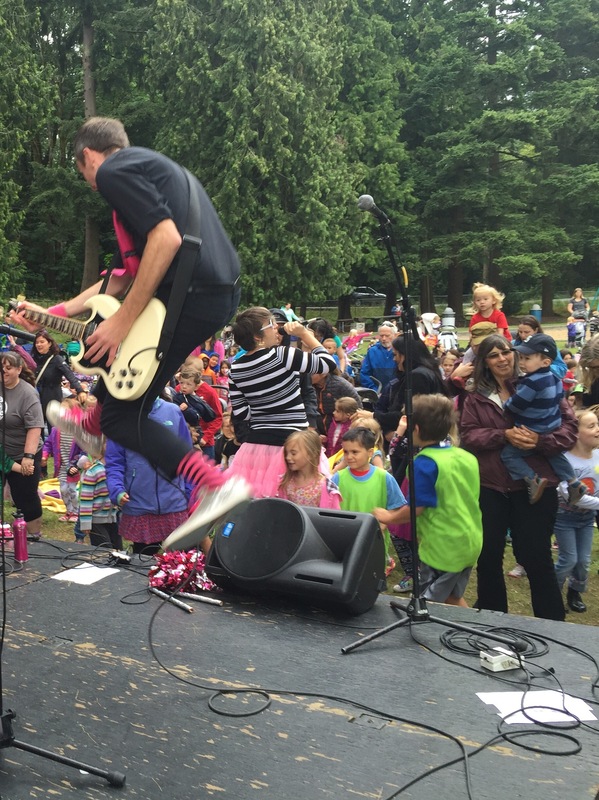 We have also been fortunate enough to play a couple of very special annual events like the 4th of July Celebration at Cal Anderson Park, Awesome Kids Day in Burien, and the super amazing family music festival in Carnation called Timber! This week we’re on the east coast, (with the heat on our side) getting ready to melt some faces! We’ll report back with how it goes! 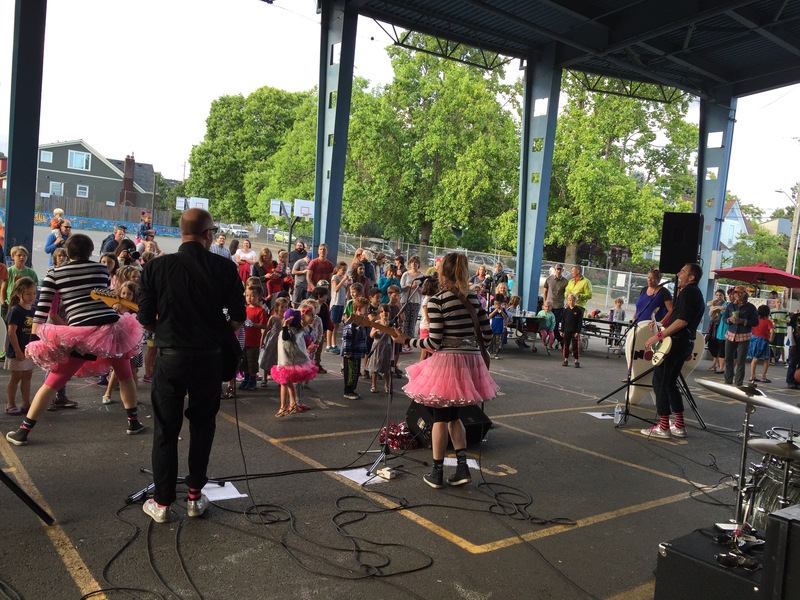 Tonight we got a jump start on summer with an outdoor concert at Whittier Elementary School. 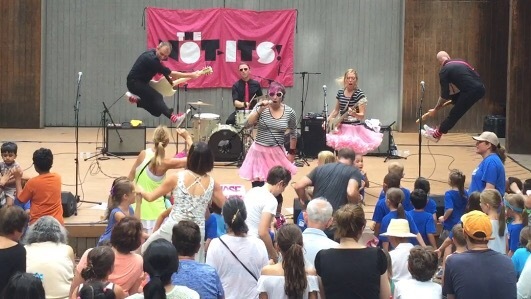 We had a blast jumping around with everyone! 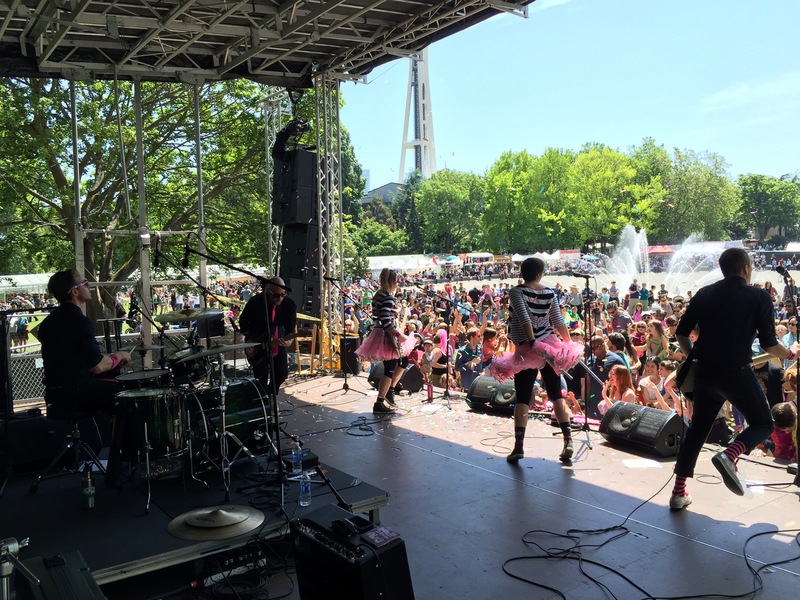 We are proud to have been involved with PNA’s fourth annual Pride Rainbow Hop, kicking off Pride month in Seattle with a family-friendly day of fun! The weather couldn’t have been nicer as we rocked out in Naked City Brewery’s outdoor beer garden. 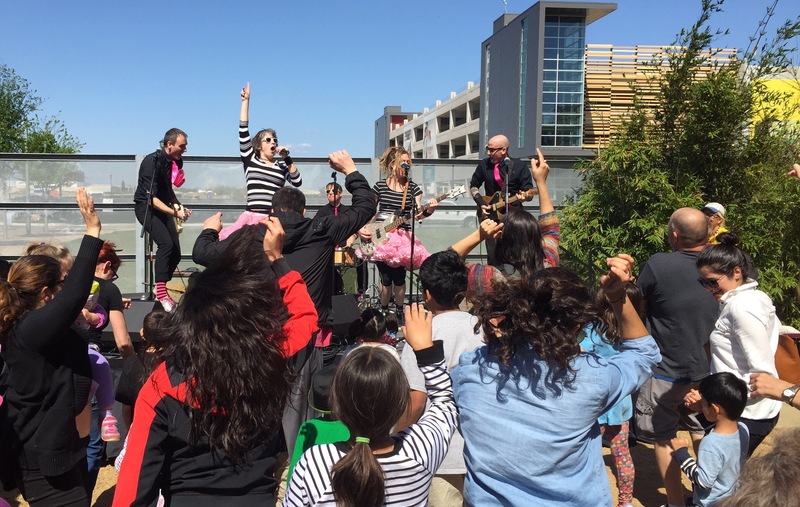 We hope our wonderful city continues to find ways for all families to be together and rock out together! We had another awesome time rocking the fountain lawn stage for the NW Folklife festival with our Kindiependent friends. This has become a wonderful tradition for all of us bands to kick off our busy summers. This is how we have spent our Memorial Days for many years now and we would like to take a moment to remember those who have served selflessly and honor them for their sacrifice. 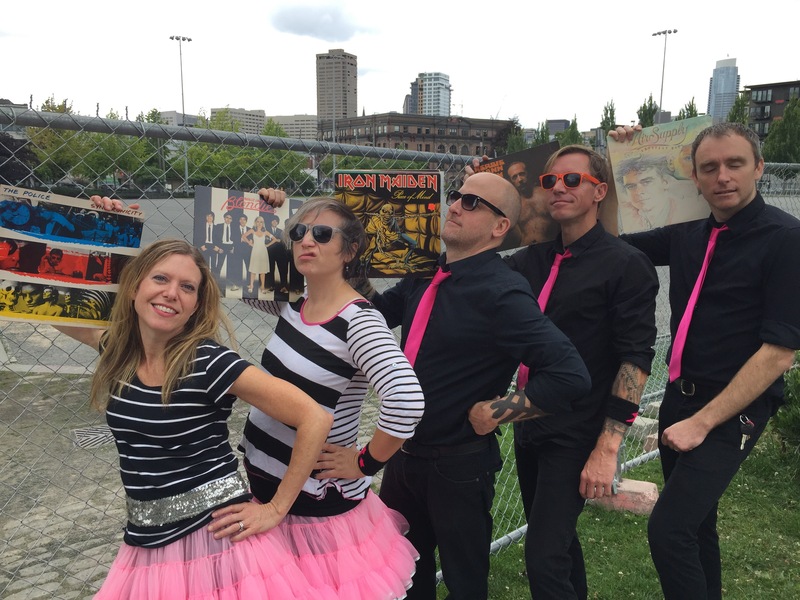 Since our last post, we’ve been in the artist spotlight on the Seattle Channel’s ArtZone with Nancy Guppy, we played our last show for this season’s Kids Rock Series at the Mount Baker Community Club, and played a super fun show in Portland, OR at the Village Ballroom. But….. We spent this weekend in Austin, Texas, (something we’ve been looking forward to for a long time!! ), seeing lots of great music and playing a couple of awesome shows for the ever popular and wildly famous South by Southwest Festival. It is a great honor to be here for the second year in a row, and we look forward to coming back to rock the kids of Austin! Are You Listening? – CD Release Celebration! 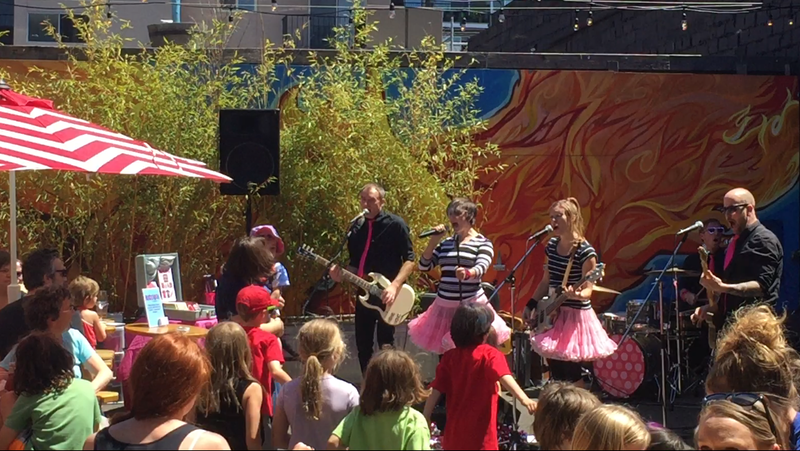 Today we celebrated the release of our 6th album, Are You Listening?, with a FREE “sold out” show at The Vera Project and FREE cupcakes from Trophy Cupcakes. Our good friend Nancy Guppy from the Seattle Channel’s Art Zone was there to introduce us. We couldn’t have wished for a better way to introduce this new album to the world!! To check out our website, click hi-five here! 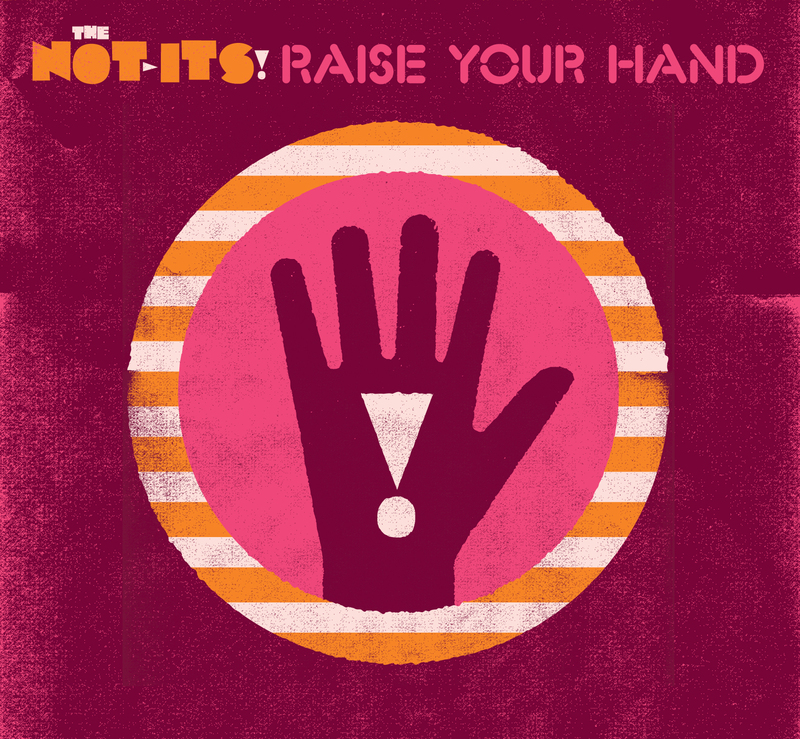 Keep Up With The Not-Its!